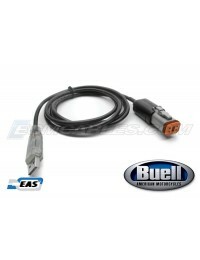 Wirelessly connect your PC or Smart Device to Buell STOCK ECM for Precision Tuning. 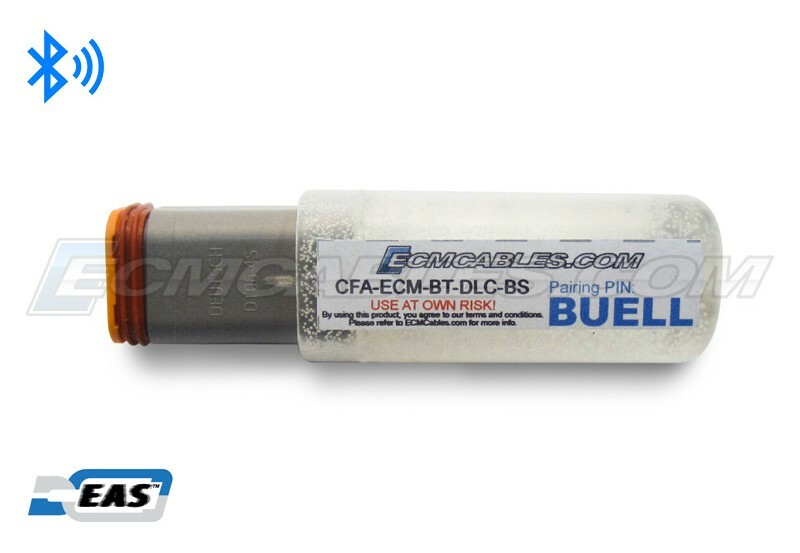 Our Buell Tuner BT Dongle is the first low-cost Wireless Adapter made for Buell ECMs which is fully encapsulated for weatherproof operation, and although it is not designed to remain on the bike as an attached accessory, it can be used while the bike is in operation for Data Logging and Live Data Viewing. 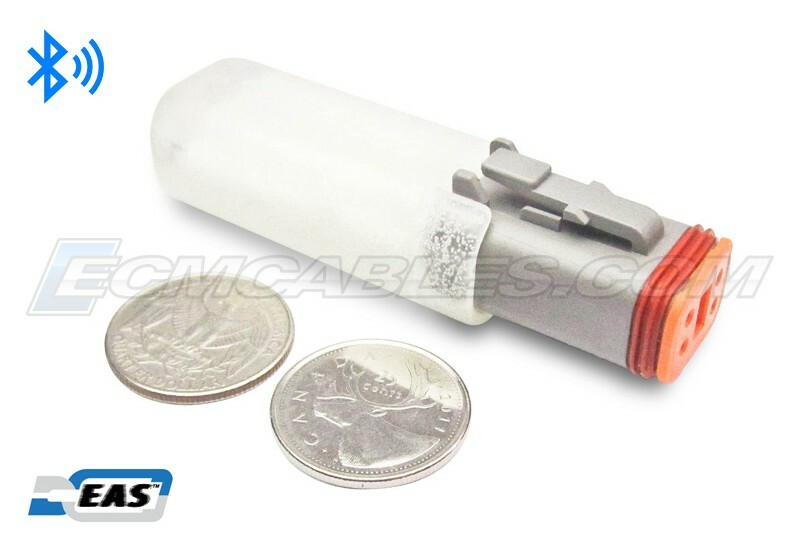 FULLY VISIBLE RED LED LETS YOU KNOW THE UNIT IS FUNCTIONING PROPERLY. When your Buell Tuner BT is powered up, a distinctive mid-body flashing Red LED will indicate Power and Bluetooth Pairing condition. Fast intermittent flashing indicates the unit is in Pairing mode, awaiting to be connected to by a Bluetooth master Device such as a Smart Phone, Tablet, or a PC. When successfully paired, the Red LED will flash twice in succession, with a several second pause in between the double flashes similar to a heat-beat pattern. 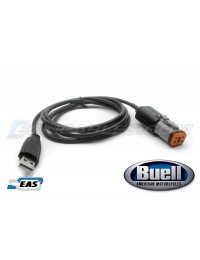 Pair your PC Bluetooth with our Buell Tuner BT Dongle using ECMSpy, or with an Android Phone or Tablet using ECMDroid. 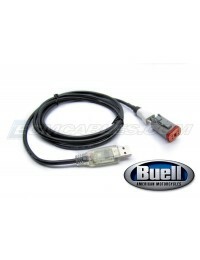 Additionally, one can use our Buell Tuner BT Dongle in conjuction with a Windows, Android or iOS Smart Phones or Tablets over WIFI with a Windows laptop or PC running ECMSpy, TunerPro, or DirectLink using RDP, whether staionary or while riding. 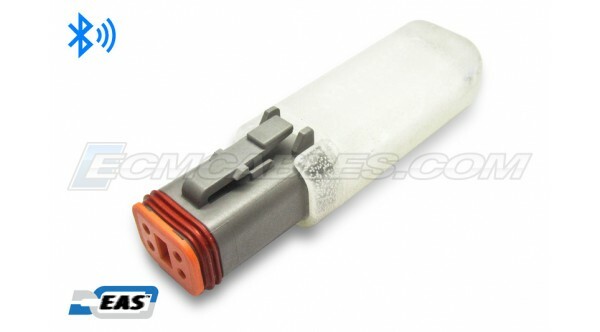 This product can be used with ECM based Optimizing Software. Software sold separately. No Software is included with this product. Refer to ECMSpy or TunerPro RT websites for more details. 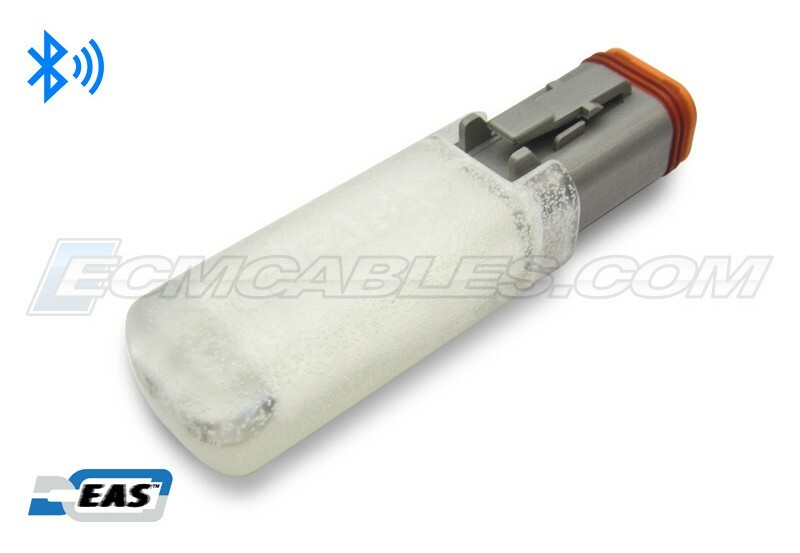 Compatible with Microsoft Windows XP/Vista/Win7/8/8.1/10. Refer to ECMSpy Website for more information on supported ECM types, Error Codes, EPROM Info, Live Data Info and much more. Our focus from the onset has always been, and continues to be, that in which we strive to provide communication link products, whether wired or wireless, and to enhance and expand our product line to include new features and assistive accessories. We do not provide software, maps, or any additional endpoint hardware such as ECMs or PCs, Laptops, Tablets, etc. We also do not provide instructions or consultation on the use of sofware, maps, or any addtional endpoint hardware, other than to refer to the respective publisher or manufacturer websites for information purposes, and are happy to assist in helping obtain a reference to helpful information. There are a great many websites and forums providing information and guides on how to tune your bike with specific reference to which bikes, ECMs, maps and applications to use. Google is your friend in this quest. 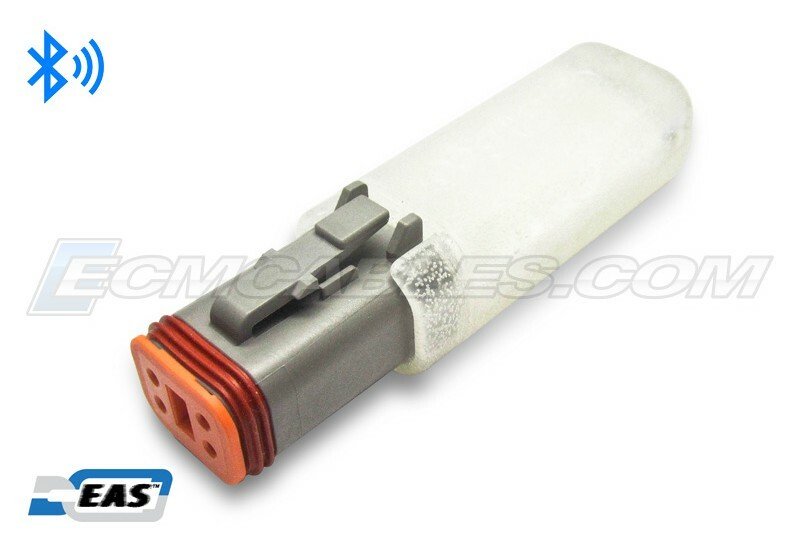 DISCLAIMER: We are not responsible for any damage that may result from the use, and or misuse, and or lack of knowledge and/or lack of understanding of either or both the product, the associated products, and or the combined products or use there of, including but not limited to the alteration of factory ECM settings in any way or form, and or of the laws relating to such alterations and or changes to emissions, and or emission output, by use of the product and or associated products. 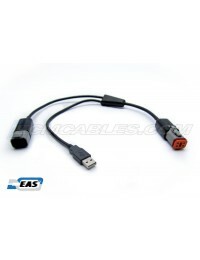 Basic EXT - ECM PORT / DATA LINK 4-PIN Male to Female EXTENSION Cable This is a 'Straight-Thru' c.. 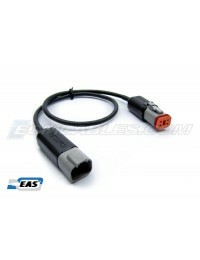 Basic Clear Buell Motorcycle ECM to USB Tuning Cable With EAS™ Technology This cable is built wit.. 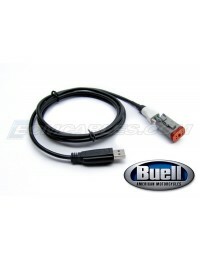 Basic Black Buell Motorcycle ECM to USB Tuning Cable With EAS™ Technology This cable is built wit..
Buell E-Class Black ECM Programming Spy Cable TPS Reset ECMSpy ECMCables.com is the leading supp..
Buell E-Class Clear ECM Programming Spy Cable TPS Reset ECMSpy ECMCables.com is the leading supp..
Buell ECM Cable ECMDroid Harley J1850 HarleyDroid Battery Pack Power Y-cable with EAS™ Technology ..